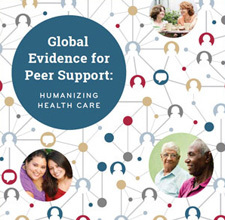 Evaluating peer support is important for designing peer support programs (e.g., training outcomes of peer supporters), understanding what peer support looks like (e.g., delivery of peer support events), and demonstrating program impact (e.g., quality of life, health outcomes). In many cases, the methodology behind these components can be critical to program sustainability. Overall, it is crucial to identify reliable measures, indicators, tools, and instruments that are relevant to overall program goals, objectives and activities. 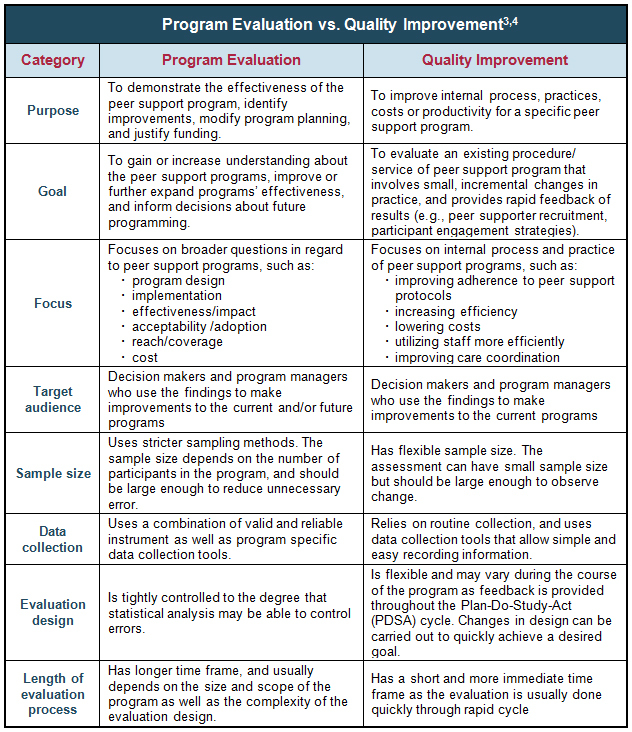 For a starter, the U.S Centers for Disease Control and Prevention Evaluation Working Group’s program evaluation framework provides a host of descriptive information and practical tools for general program evaluation for public health programs.